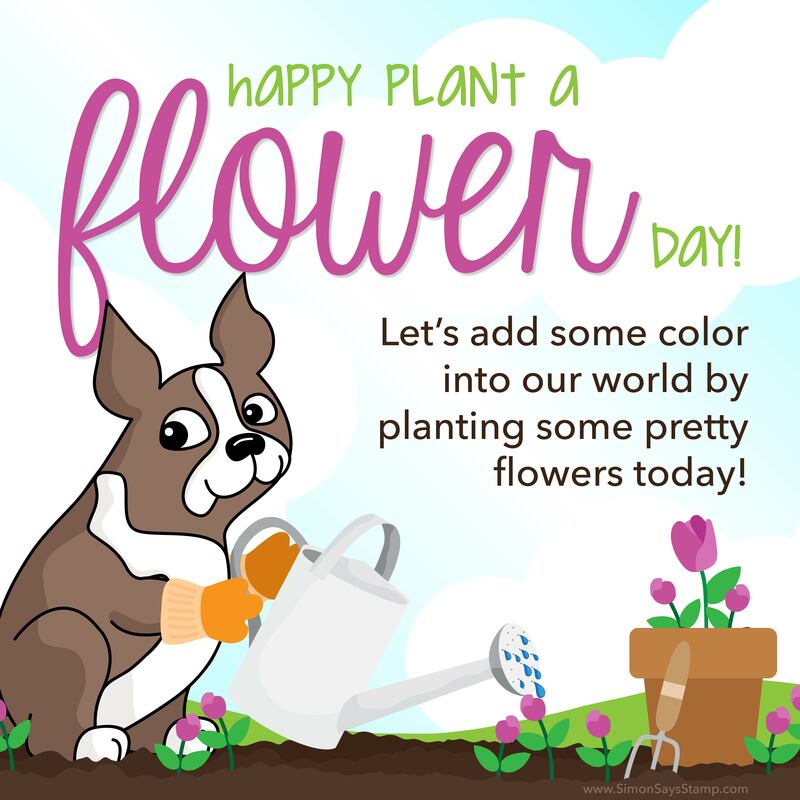 Hello crafters and Happy Plant a Flower Day! Did you know that today’s “fun” holiday is a celebration of all things blooming and beautiful!? That’s why I thought today’s video would be perfect for not only Plant a Flower Day, but also for Spring and organization! 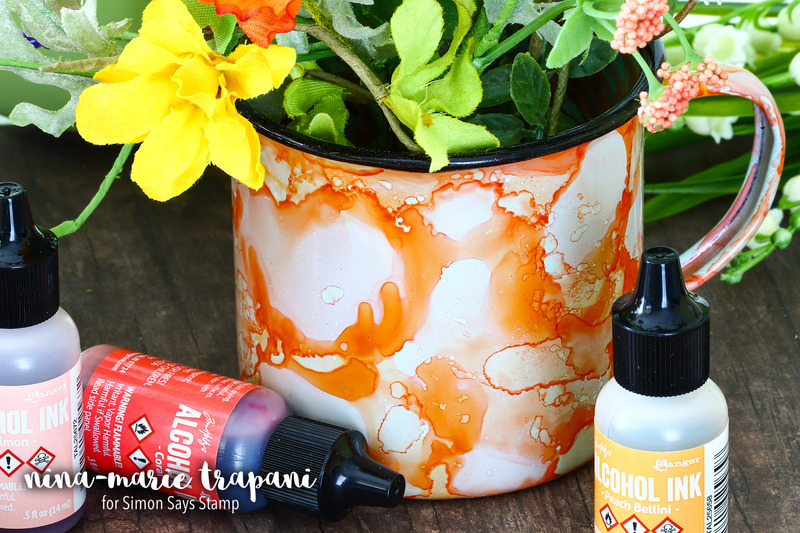 I’ll be showing you how I repurposed some mugs I had and gave them a fresh, new look with the help of alcohol inks! You can apply alcohol inks to just about any surface; I’ve done this on glass before too and it works beautifully! 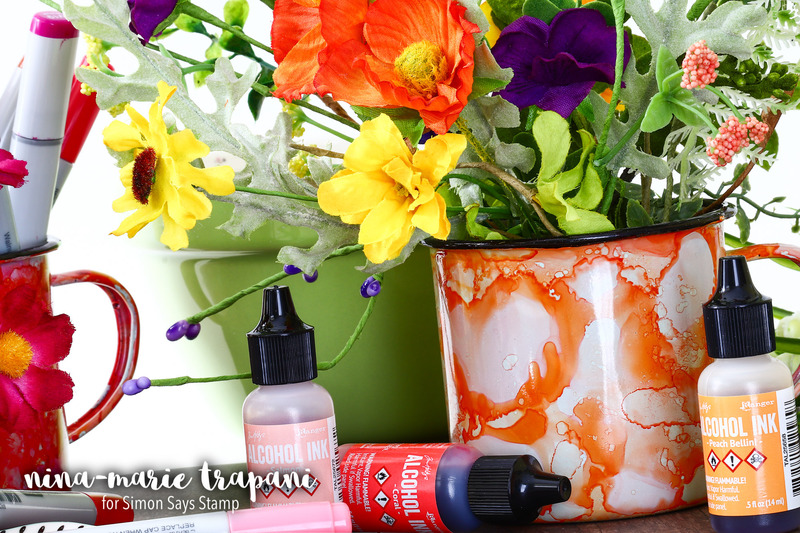 The bold-colored mugs on the left use Flamingo, Coral, Salmon, Dandelion and Peach Bellini. Like I had mentioned, these mugs would make great planters for the Spring flowers that will soon be blooming! Check out the cute mug above with the pretty orange and soft pink colors; I filled this with some Spring silk flowers to brighten my studio! I used Peach Bellini, Salmon, Shell Pink and a VERY tiny amount of Coral. Or you can use them for supplies and crafting! Here’s the turquoise, green and purple mug I made, which I often use as a water cup for painting. I used Sail Boat Blue, Turquoise, Citrus (very sparingly) and Amethyst. You can seal these mugs if you’d like to make sure they are waterproof. I chose not to, as I have not had any issue with the mugs getting chipped and the alcohol ink wearing off (a couple of my mugs that I’ve done like this get handled frequently and hold supplies). If you do choose to seal the mugs, Ranger suggests using a water based sealant. I hope you will check out the video below to see how I made these cute little mugs! I have a blast working with alcohol inks, as they can be used on so many surfaces other than paper! Thanks for visiting with me today; I’ll be back soon with a brand new Studio Monday video! Wow! 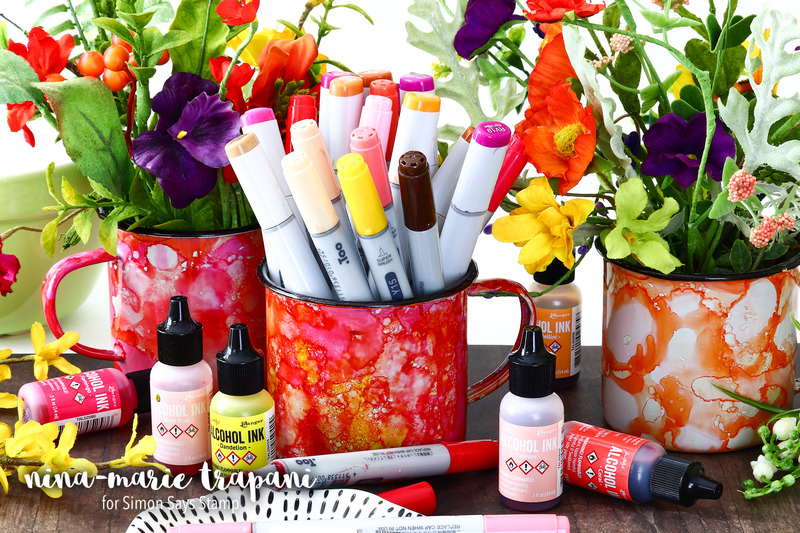 Your mugs looks fabulous – what a fun way to use alcohol inks! the mugs are so pretty. Those mugs look really cool. 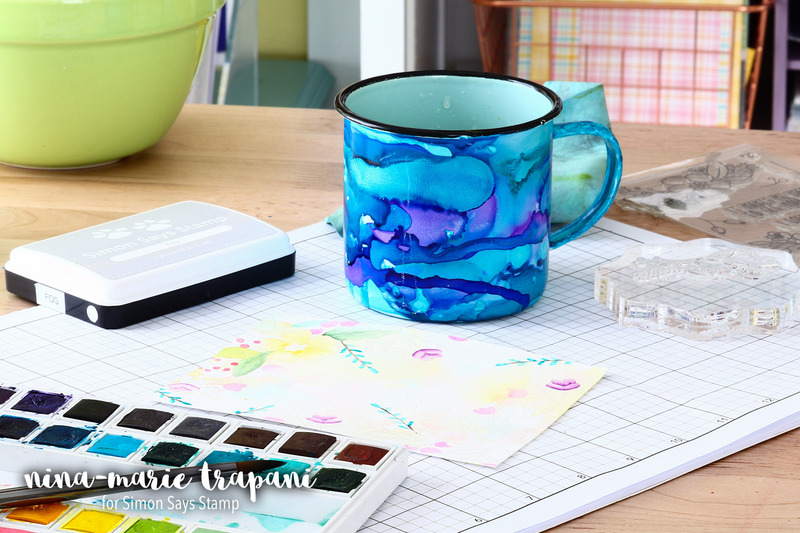 Alcohol inks are so fun to play with – thanks for this great idea for using them to make these pretty mugs ! this is awesome, I tried! Wow, this is a wonderful way to use alcohol inks. I have so many bottles of alcohol inks and have not used them for ages. I will get them out now. Who knew that you could use alcohol inks like that. Amazing and thanks for sharing that with us. I really do need to purchase some of those alcohol inks. Nice mugs, I have used alcohol inks on cups and saucers to use for plants, too. Love the idea! Oh wow, these look fab!! This looks like so much inky fun and they turn out so beautiful as well!!!! Those mugs are so cute! I love alcohol inks. Great idea. I can’t wait to try this out and love finding new ways to use these inks. You rock. Love the results of your repurposing! What great gifts these would make. These are so cool Nina-Marie! Alcohol inks are fascinating on paper and I think they’re even more neat on mugs. Thanks for showing us different things we can use our card making supplies on! What a way to brighten up your work space! What a wonderful idea & I love the results – so colorful!! What a great idea! Thank you for the inspiration! These mugs look awesome! So colourful and fun. 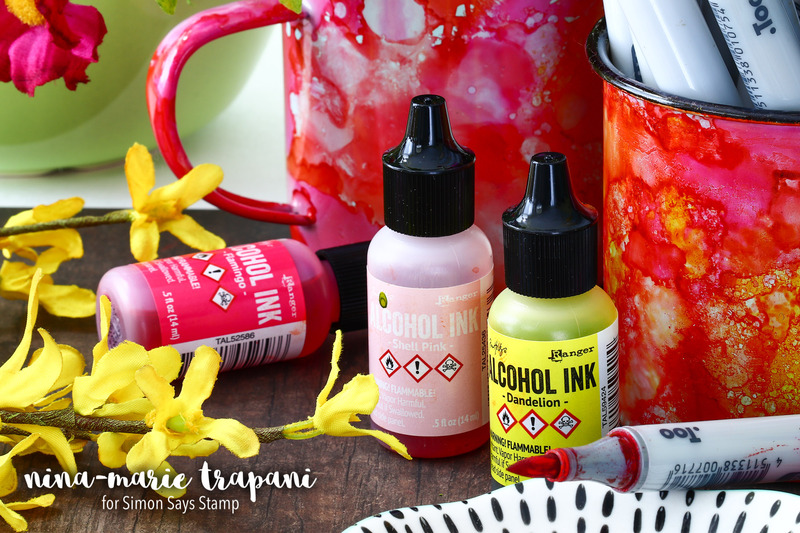 Another creative way to use alcohol inks. Thanks for the inspiration! LOVE LOVE LOVE those marbled mug!!! Simon Says Stamp & Show Some Texture!